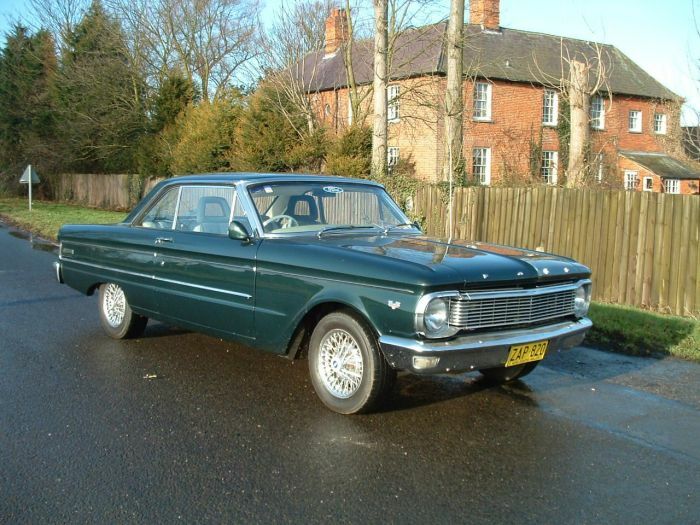 Stewart is an ex-pat Australian living in Ireland and has bought this lovely 1965 XP Falcon Coupe or hardtop. 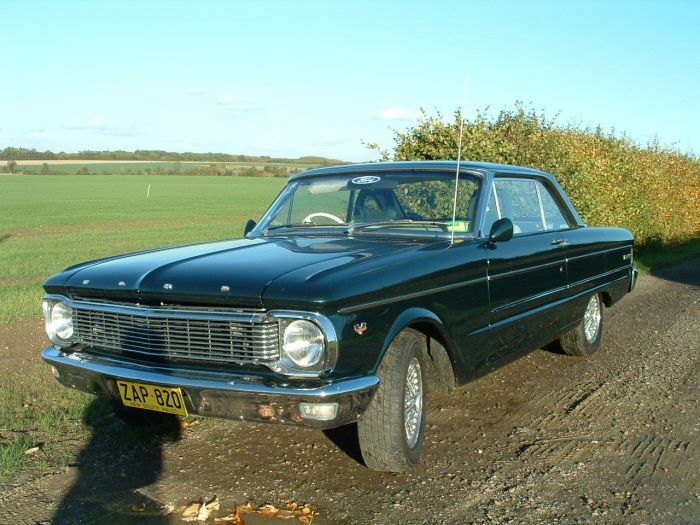 It is a April 1965 build XP Falcon Coupe or Hardtop. 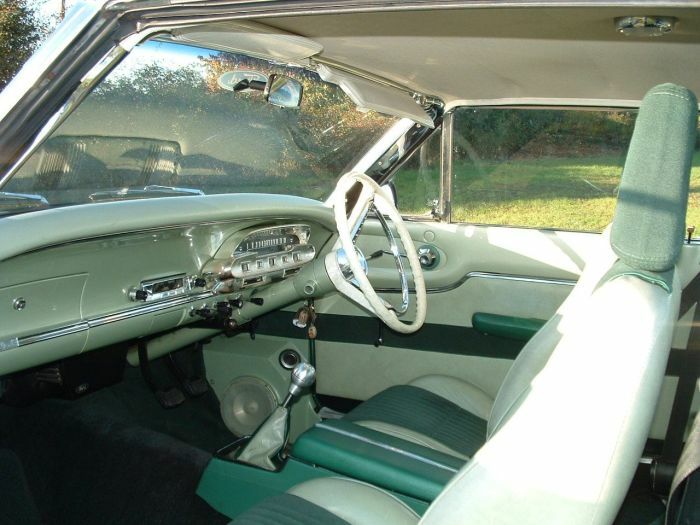 It is a Futura model that was fitted with a 170ci 'Super Pursuit engine and a 3 speed column shift. 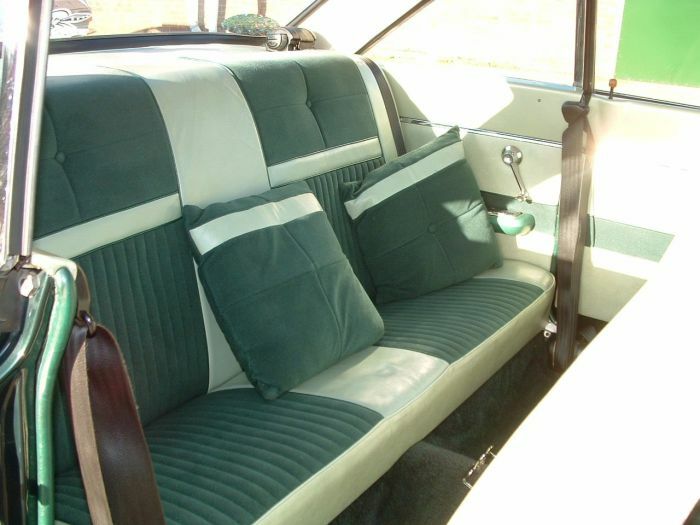 The car was originally white with blue vinyl interior and carpets! · Celica cast iron 5 speed gearbox and hydraulic actuator. 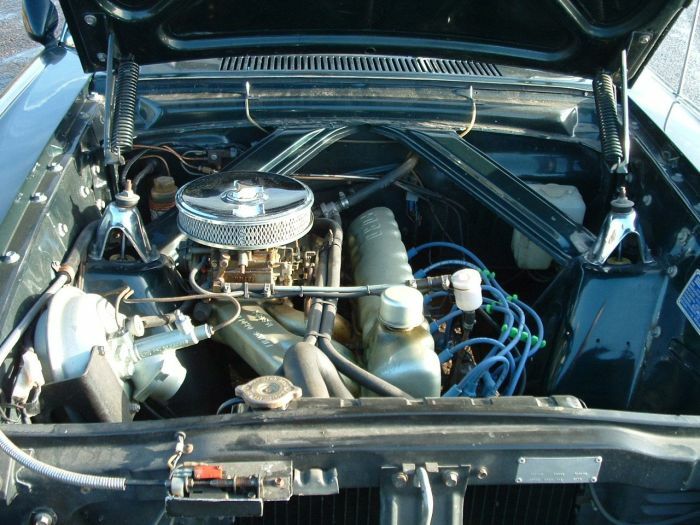 · Holley 2300 series 2 barrel carburettor - 320 cfm. 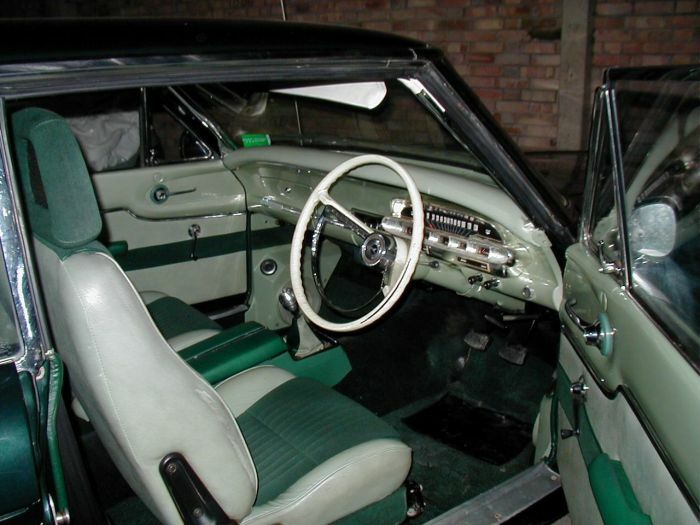 · Full body respray in British Racing Green (baked enamel), complete with rust proofing hidden areas. It seems the guy who did all the work and spent a mint didn't really use the car when it was totally finished. And I plan to install an electric thermo fan and fit 2 new tyres as the worn tie rod ends didn't do me any favours. Apart from that it all been done - all I have to do is look after her and use her. It starts on the button and is very comfortable for long trips - returning 25-30 mpg if you're good with the right foot. It sounds great and gives the young lads in their Honda Civics and the like something to think about! 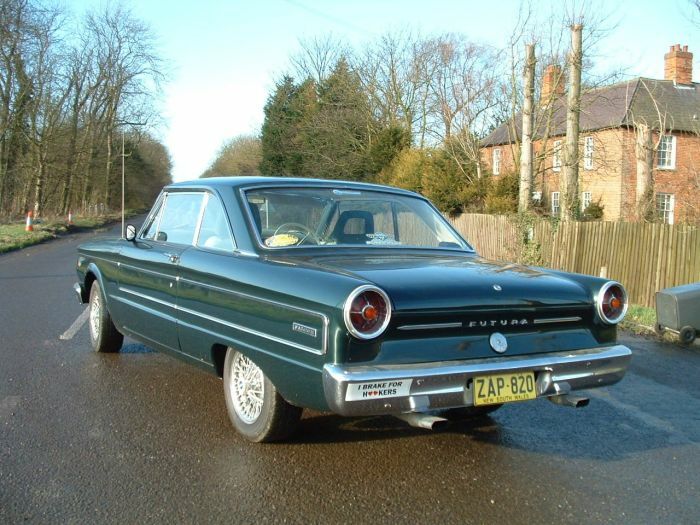 How nice to see one of the earlier Falcons, if not in the U.K, then not far away.